If you haven’t heard it has been agreed that the current tentative agreement will be sent for unit-wide ratification. 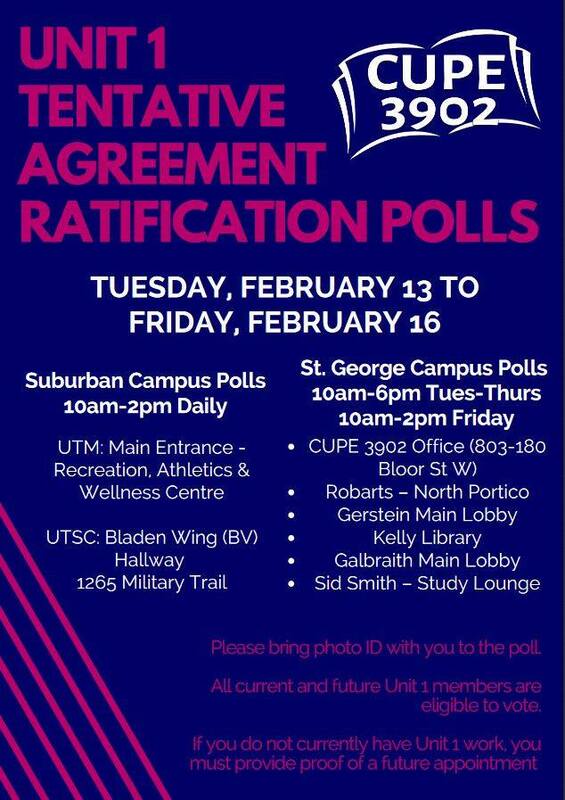 Over the next few days, you can vote on whether to accept or reject the tentative agreement. The ratification poll stations and times are on the poster attached below. You will be able to vote until Friday this week on all three campuses. Please bring your T-card for identification. You can review the summary of the tentative agreement before voting!